You won’t want to miss the 4th Annual Walk’n Wag! In addition to the 3k dog walk and agility course, new features include extended event hours, a dog-friendly beer garden featuring DruBru, live music by Whalien, an opportunity to take a professional photo with your pet and more! 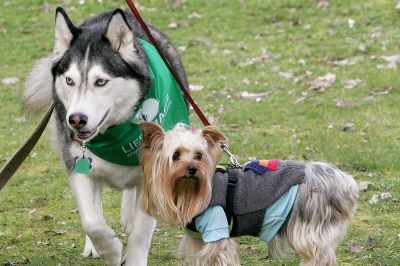 The 3K dog walk will be followed by Seattle Fly Dogs and Disc Dogs exhibitions and an obedience demonstration presented by a King County police dog and his handler. For the second year, Walk’n Wag will also include a judged pet show. Just sign-up your dog when you pre-register. Categories include best dressed, smallest dog, nicest eyes, ugliest dog, best trick, and dog/owner look alike. 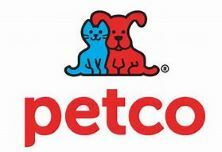 More than 20 pet-friendly vendors will also be in Doggie Village to share information with pet owners and to give out samples and tons of swag. Walkers without dogs are welcome to visit Doggie Village! Follow the signs at the park entrance to the kitchen shelter, on the right. A professional photographer will be on hand for portraits with your pets. A $20 fee will be charged, cash only. 12pm-12:30pm Seattle Fly Dogs/DRU BRU Beer Garden Opens! alike, best voice and best trick. Early bird registration is $10 for children 15 and younger and $15 for adults. After April 24, $20 for adults and $15 for children. Register at https://www.eventbrite.com/e/3rd-annual-walkn-wag-fundraiser-tickets-55714000074 . Registration will also be available the day of the event. All dogs must be on a leash. Walk’n Wag is a fundraiser. All proceeds will benefit amenities and improvements for Lake Sammamish State Park.